Security has been hired to prevent Bitten and Haraldson from repeating their planned disruption of Oct. 19, 2016, Everyone welcome! 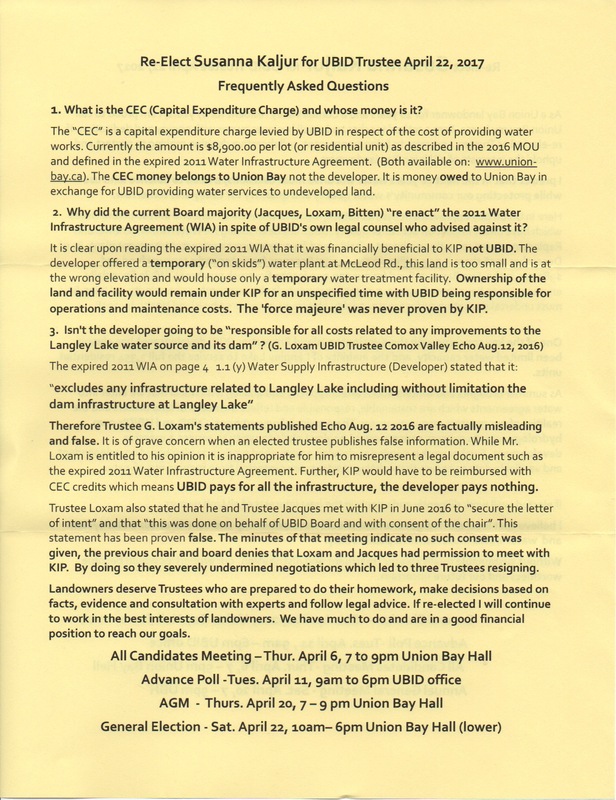 It’s obvious Susanna Kaljur has a lot of information to pass along to landowners and understands the issues facing Union Bay. 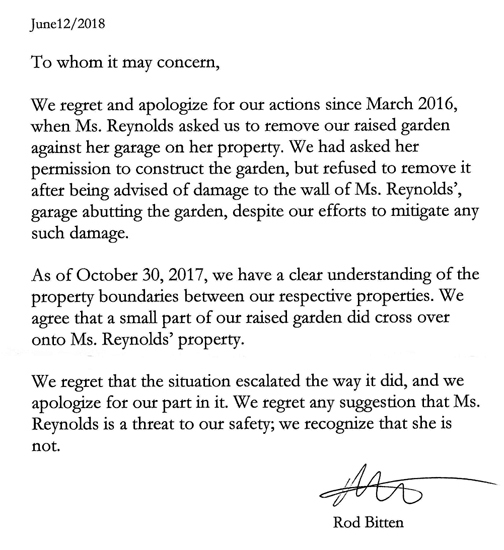 In October 2016, Rick Bitten stated he could be trusted to make important decisions regarding Union Bay. 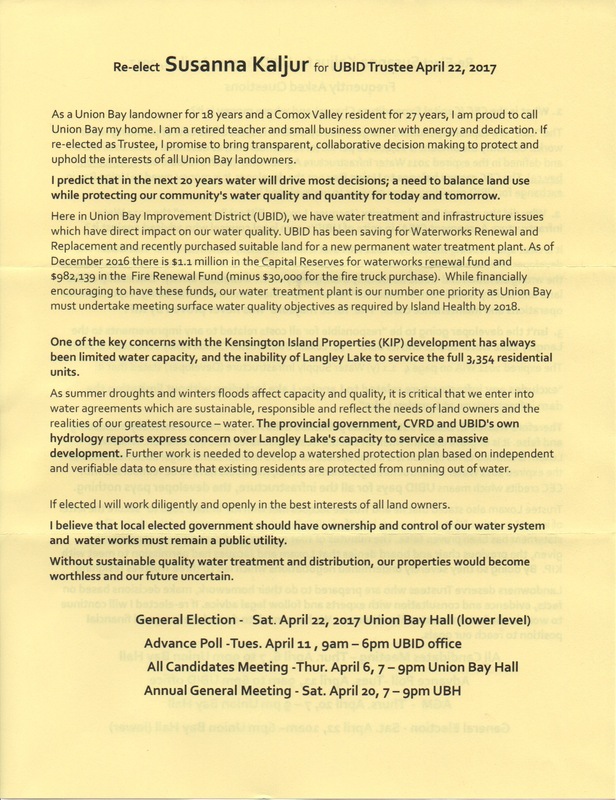 He has failed miserably as he has shown his ignorance regarding the expired 2011 WIA, and his lack of interest in researching and educating himself clearly shows he is unfit to be a trustee of the Union Bay Improvement District. Show this guy the door and replace him with someone who cares about accuracy and accountability and representing all landowners. Your vote is your business. No one has the right to intimidate you or question who you’re voting for. Vote your conscience but VOTE. Don’t let the bullies take away your rights. Previous Post Will the Pro Kip Candidates Show for the All Candidates Meeting?